Form controls are declared using markup elements, and their behavior refined via markup attributes. output Common, Single Node Binding (optional), appearance ("full"|"compact"|"minimal"|xforms:QNameButNotNCNAME), value (XPathExpression) label? See also: 9.3.3 The itemset Element. Unless bound to form controls, instance data nodes are not presented to the user; consequently, there is no need for a form control corresponding to HTML input type="hidden". The following attributes are common to many user-interface related XForms elements, here called the UI Common attribute group. Optional attribute to define an appearance hint. If absent, the user agent may freely choose any suitable rendering. A host language is expected to add attributes such as xml:lang as well as an attribute, named class, that holds a list of strings that can be matched by CSS class selectors. Optional attribute is a non-negative integer in the range of 0-32767 used to define the navigation sequence. This gives the author control over the sequence in which form controls are traversed. The default navigation order is specified in the chapter 4 Processing Model. Optional attribute defines a shortcut for moving the input focus directly to a particular form control. The value of this is a single character which when pressed together with a platform specific modifier key (e.g., the alt key) results in the focus being set to this form control. The user agent must provide a means of identifying the accesskeys that can be used in a presentation. This may be accomplished in different ways by different implementations, for example through direct interaction with the application or via the user's guide. The accesskey requested by the author might not be made available by the player (for example it may not exist on the device used, or it may be used by the player itself). Therefore the user agent should make the specified key available, but may map the accesskey to a different interaction behavior. As shown above, the XML Events module adds the Actions content set into the UI Common content set. A host language should add inline markup to the Inline content set. When the XForms Extension module is present, it too should be included in the UI Common content set. XForms user interface controls are bound to the underlying instance data using binding attributes as defined in the chapter 6 Model Item Properties. Form controls enable accessibility by taking a uniform approach to such features as labels, help text, navigation, and keyboard shortcuts. Internationalization issues are addressed by following the same design principles as in XHTML. All form controls are suitable for styling as aural or visual media. Form controls encapsulate high-level semantics without sacrificing the ability to deliver real implementations. For instance, the form control select enables the user to select items from a set. These form controls distinguish the functional aspects of the underlying control from the presentational and behavioral aspects. This separation enables the expression of the intent underlying a particular form control—see [AUI97] for a definition of such high-level user interaction primitives. Form controls when rendered display the underlying data values to which they are bound. While the data presented to the user through a form control must directly correspond to the bound instance data, the display representation is not required to match the lexical value. For example, user agents should apply appropriate conventions to the display of dates, times, durations and numeric values including separator characters. Attribute nodes: returns the string-value of the node. Text nodes: returns the string-value of the node. Namespace, processing instruction, comment, and the XPath root node: behavior is undefined. Form controls must distinguish rendering between valid and invalid states. Control of this behavior should be made available to stylesheets. Form controls must indicate when the bound instance data contains a value the form control is not capable of rendering. Control of this behavior should be made available to stylesheets. Form controls must render upon request an explanation of the current state of a form control, including validity and associated model item properties. Control of this behavior should be made available to stylesheets. Form controls must provide a default explanation for the above when no user-specified explanation is available. This form control accepts an input mode hint. E Input Modes. when true, this form control will generate additional xforms-value-changed events. The default value for this attribute is false. In the above, the class attribute can be used by a style sheet to specify the display size of the form control. Note that the constraints on how much text can be input are obtained from the underlying XForms Model definition and not from these display properties. Data Binding Restrictions: Binds to any simpleContent (except xsd:base64Binary, xsd:hexBinary or any datatype derived from these). Implementation Requirements: Must allow entry of a lexical value for the bound datatype. Implementations should provide a convenient means for entry of datatypes and take into account localization and internationalization issues such as representation of numbers. 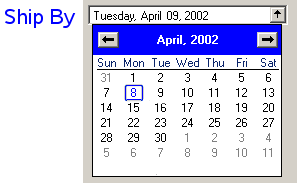 For example, an input bound to an instance data node of type xsd:date might provide a calendar control to enter dates; similarly, an input control bound to of type boolean might be rendered as a checkbox. Description: This form control is used to provide the user with the ability to supply information to the system in a manner that makes it difficult for someone, other than the user, who may be observing the process to discern the value that is being supplied. A common use is for password entry. Data Binding Restrictions: Identical to input. Implementation Requirements: Implementations, including accessibility aids, must obscure the value being entered into this form control. One possible approach would be to render a "*" or similar character instead of the actual characters entered. Note that this provides only a casual level of security; truly sensitive information will require additional security measures outside the scope of XForms. Description: This form control enables free-form data entry and is intended for use in entering multiline content, e.g., the body of an email message. Data Binding Restrictions: Binds to xsd:string or any derived simpleContent. Implementation Requirements: Must allow entry of a lexical value for the bound datatype, including multiple lines of text. Description: This form control renders a value from the instance data, but provides no means for entering or changing data. It is used to display values from the instance, and is treated as display:inline for purposes of layout. Element output can be used to display the value at a particular location in the instance by using a binding expression; it can also be used to display the result of evaluating an XPath expression by specifying the XPath expression to be evaluated via attribute value instead of ref. Note that attributes ref and value on element output are mutually exclusive. This form control does not use the UI Common attribute group, but nevertheless still contains an appearance attribute, as defined above. An XPath expression to be evaluated. The string result of the evaluation is rendered by the form control. If binding attributes are present to select a node, this attribute has no effect. The evaluation context is the same as would be applied to the evaluation of the single node binding. This XPath expression is re-evaluated whenever there is a change in any node to which the expression refers. Data Binding Restrictions: Binds to any simpleContent. Implementation Requirements: Must allow display of a lexical value for the bound datatype. Implementations should provide a convenient means for display of datatypes and take into account localization and internationalization issues such as representation of numbers. Description: This form control enables the common feature found on Web sites to upload a file from the local file system, as well as accepting input from various devices including microphones, pens, and digital cameras. Space-separated list of suggested media types, used by the XForms Processor to determine the possible sources of data to upload. When true, this form control will generate additional xforms-value-changed events. The default for this form control is false. On activation, if child element filename is present and a filename is available, upload places the filename of the data to upload in the instance at the node indicated by the binding attributes on child element filename. On activation, if child element mediatype is present and a mediatype is available, upload places the mediatype of the data to upload in the instance at the node indicated by the binding attributes on child element mediatype. Data Binding Restrictions: This form control can only be bound to datatypes xsd:anyURI, xsd:base64Binary or xsd:hexBinary, or types derived by restriction from these. When bound to an instance data node of type xsd:base64binary, xsd:hexBinary, or a type derived by restriction thereof, on activation upload places the binary content in the content of the node with the indicated encoding. When bound to an instance data node of type xsd:anyURI (or a type derived by restriction thereof), on activation upload places a URI in the content of the node. For security reasons, the XForms Processor must not dereference the URI bound to this form control without explicit user permission. Implementors note that upload must associate the binary content, mediatype, and filename with that URI for 11.4 Serialization as multipart/related and 11.5 Serialization as multipart/form-data serialization. Implementations with a file system should support file upload—selecting a specific file. The types of files presented by default should reflect the mediatype specified by attribute mediatype, for example defaulting to only audio file types in the file dialog when the mediatype is "audio/*". Implementations with specific pen/digitizer hardware should (and implementations with other pointing devices may) support scribble—allowing in-place creation of pen-based data. Implementations with specific audio recording capabilities should support record audio—in-place recording of an audio clip. Implementations with a digital camera, scanner interface or screen capture should support acquire image—in-place upload of images from an attached device. Implementations with video recording capability should provide a record video option. Implementations with 3d capabilities should provide a 3d interface option. Implementations which cannot support upload for the given mediatype must make this apparent to the user. See the child elements filename 8.3.1 The filename Element and mediatype 8.3.2 The mediatype Element. Description: This form control allows selection from a sequential range of values. Optional hint for the lexical starting bound for the range—a legal value for the underlying data. If provided, this value is used to further refine the constraints specified by the underlying model. Optional hint for the ending bound for the range—a legal value for the underlying data. If provided, this value is used to further refine the constraints specified by the underlying model. Optional value to use for incrementing or decrementing the value. Must be of a type capable of expressing the difference between two legal values of the underlying data. Data Binding Restrictions: Binds only the following list of datatypes, or datatypes derived by restriction from those in the list: xsd:duration, xsd:date, xsd:time, xsd:dateTime, xsd:gYearMonth, xsd:gYear, xsd:gMonthDay, xsd:gDay, xsd:gMonth, xsd:float, xsd:decimal, xsd:double. Implementation Requirements: Must allow input of a value corresponding to the bound datatype. Implementations should inform the user of the upper and lower bounds, as well as the step size, if any. If the instance data value is outside the upper or lower bounds, this form control must indicate an out-of-range condition. In graphical environments, this form control may be rendered as a "slider" or "rotary control". Notice that the attributes of this element encapsulate sufficient metadata that in conjunction with the type information available from the XForms Model proves sufficient to produce meaningful prompts when using modalities such as speech, e.g., when using an accessibility aid. Thus, in the example below, an aural user agent might speak a prompt of the form Please pick a date in the range January 1, 2001 through December 31, 2001. In the event of overlapping restrictions between the underlying datatype and the start and end hints, the most restrictive range should be used. Description: This form control is similar to the HTML element button and allows for user-triggered actions. This form control may also be used to construct other custom form controls. Data Binding Restrictions: Binds to any node. This form control does not directly interact with form data, but is affected by model item properties of the bound node, thus binding attributes are not required. Implementation Requirements: The user agent must provide a means to generate an DOMActivate event on the form control. Graphical implementations might render this form control as a push-button with the label on the button face. Style sheets can be used to style this form control as an image, hyperlink, or other presentation. Description: This form control initiates submission of all or part of the instance data to which it is bound. Required reference to element submission. Implementation Requirements: Upon receiving event DOMActivate, this form control dispatches event xforms-submit to the submission element specified by required attribute submission. Upon activation, this control must become unavailable for further activations until the submit process concludes with either an xforms-submit-done or xforms-submit-error event. Description: This form control allows the user to make multiple selections from a set of choices. Optional attribute determining whether free entry is allowed in the list. Default is "closed". When true, this form control will generate additional xforms-value-changed events. The default for this form control is true. In the above example, more than one flavor can be selected. Data Binding Restrictions: any simpleContent capable of holding a sequence. The restriction to binding simpleContent exists when the choices are authored as part of the user interface control as shown in this section. Element itemset for creating dynamic selections described in 9.3.3 The itemset Element allows the available choices to be obtained from an XForms Model, and when using that construct, the data binding restriction to simpleContent is relaxed. A limitation of the XML Schema list datatypes is that white space characters in the storage values (the value element) are always interpreted as separators between individual data values. Therefore, authors should avoid using white space characters within storage values with list simpleContent. When selected, this item would introduce not one but four additional selection values: "America", "of", "States", and "United". Implementation Requirements: The label for each choice must be presented, allowing at any number of selections, possibly none. This form control stores the values corresponding to the selected choices as a space separated list in the location addressed by attribute ref. The values to be stored are either directly specified as the contents of element value, or specified indirectly through binding attributes on element value. Note that the datatype bound to this form control may include a non-enumerated value space, e.g., xsd:string, or a union of a enumeration and a non-enumerated datatype (called an open enumeration). In this case, control select may have attribute selection="open". The form control should then allow free data entry, as described in 8.1.2 The input Element. The form control may permit multiple values to be entered through free entry. For closed selections: If the initial instance value matches the storage value of one or more of the given items, those items are selected. If there is no match, no items are initially selected. If any selected values do not have a choice with a matching storage value, the form control must indicate an out-of-range condition. For open selections: If the initial instance values match the storage value specified by one or more of the items, the all such matching items are selected. If the initial instance values do not match the storage value specified by one or more of the items, all such non-matching items are included as selected values, as if entered through free entry. Free entry text is handled the same as form control input 8.1.2 The input Element, possibly in multiplicity. When using dynamic selections with complexTypes, open selection has no effect. In the above example, selecting one of the choices will result in the associated value given by element value on the selected item being set in the underlying instance data at the location icecream/flavor. Data Binding Restrictions: Binds to any simpleContent. The restriction to binding simpleContent exists when the choices are authored as part of the user interface control as shown in this section. Element itemset for creating dynamic selections described in 9.3.3 The itemset Element allows the available choices to be obtained from an XForms Model, and when using that construct, the data binding restriction to simpleContent is relaxed. Implementation Requirements: The label for each choice must be presented, allowing at all times exactly one selection. This form control stores the value corresponding to the selected choice in the location addressed by attribute ref. The value to be stored is either directly specified as the contents of element value, or specified indirectly through binding attributes on element value. Note that the datatype bound to this form control may include a non-enumerated value space, e.g., xsd:string, or a union of a enumeration and a non-enumerated datatype (called an open enumeration). In this case, control select1 may have attribute selection="open". The form control should then allow free data entry, as described in 8.1.2 The input Element. For closed selections: If the initial instance value matches the storage value of one of the given items, that item is selected. If there is no match, the form control must indicate an out-of-range condition..
For open selections: If the initial instance value matches the storage value specified by one of the items, the first such matching item is selected. Otherwise, the selected value is the initial lexical value. Free entry text is handled the same as form control input 8.1.2 The input Element. User interfaces may choose to render this form control as a pulldown list or group of radio buttons, among other options. The appearance attribute offers a hint as to which rendering might be most appropriate, although any styling information (such as CSS) should take precedence. This element is used within selection form controls to group available choices. This provides the same functionality as element optgroup in HTML. This element specifies the storage value and label to represent an item in a list. It is found within elements select1 and select, or grouped in element choices. This element provides a storage value to be used when an item is selected. Data Binding Restriction: All lexical values must be valid according to the datatype bound to the selection control. If inline content and a ref attribute are both specified, the ref attribute is used. The child elements detailed below provide the ability to attach metadata to form controls. Finally, an XForms implementation could use content negotiation to obtain the appropriate XML resource bundle, e.g., based on the accept-language headers from the client, to serve up the user interface with messages localized to the client's locale. Binding attributes on optional element filename specify the location in the instance for the parent element upload, when activated, to place the filename for the chosen binary resource. For security reasons, upload must not take action due to any existing value of the node. In the following example, the user is prompted to select an image. When activated, upload places in mail/attachment either the binary data of the image or a URI for it, depending on the type declared for the mail/attachment. The filename, perhaps "me.jpg", is placed in the attribute node mail/attachment@filename, and the mediatype, perhaps "image/jpeg" in the attribute node mail/attachment@mediatype. Binding attributes on optional element mediatype specify the location in the instance for the parent element upload, when activated, to place the mediatype of the chosen binary resource, if available. 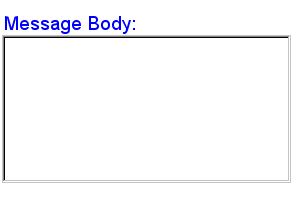 This required element labels the containing form control with a descriptive label. Additionally, the label makes it possible for someone who can't see the form control to obtain a short description while navigating between form controls. Link to external label. If the link traversal fails, it is treated as an error (4.5.3 The xforms-link-error Event). The label specified can exist in instance data, in a remote document, or as inline text. If more than one source of label is specified in this element, the order of precedence is: single node binding attributes, linking attributes, inline text. An accessibility aid might speak the metadata encapsulated here when the containing form control gets focus. The optional element help provides a convenient way to attach help information to a form control. This is equivalent to a <message level="modeless" ev:event="xforms-help" ev:propagate="stop">. Link to external help information. If the link traversal fails, it is treated as an error (4.5.3 The xforms-link-error Event). The message specified can exist in instance data, in a remote document, or as inline text. If more than one source of message is specified in this element, the order of precedence is: single node binding attributes, linking attributes, inline text. An example of this element is at 10.1.12 The message Element. The optional element hint provides a convenient way to attach hint information to a form control. This is equivalent to a handler for event xforms-hint that responds with a <message level="ephemeral">. Link to external hint. If the link traversal fails, it is treated as an error (4.5.3 The xforms-link-error Event). The optional element alert provides a convenient way to attach alert or error information to a form control. Rendering of this element is implementation-defined, and there is no default level such as modal or ephemeral for the displayed message. Link to external alert. If the link traversal fails, it is treated as an error (4.5.3 The xforms-link-error Event). The message specified can exist in instance data, in a remote document, or as inline text. If more than one source of message is specified in this element, the order of precedence is: single node binding attributes, linking attributes, inline text. See F XForms and Styling for examples to see how this might be presented to the user.